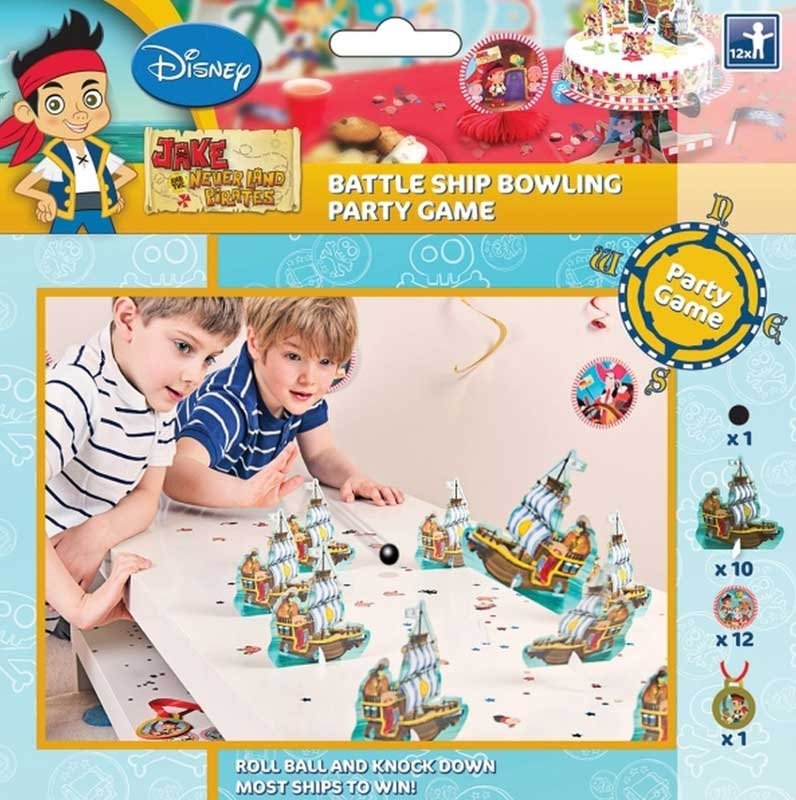 DISNEY JAKE AND THE NEVER LAND PIRATES PARTY GAME - Have more party excitement with this Jake and The Never Land Pirates Battle Ship Bowling Game! Set the ships up on a flat surface and roll the ball - the child who knocks down the most ships is the winner! Pack includes: 1 play mat 1 ball 10 ships 12 markers and 1 medal. For 12 players. Instructions included.